While fur, velvet and silk are must-have fabrics all year round, spring calls for some breezy and fun colored cottons and linens. From cushions to throws, update everything. Bring in bold patterns, play with pastels. Cushions and throws are the easiest way to start if you want to transform the look of the room. The best way to bring in some natural light is to replace the heavy fabric curtains to lighter linen or cotton curtains. I like to add a touch of floral to welcome the spring. My mom uses this old school technique to transform the home from winter to spring decor. Spring is the time when the big duvets can be replaced with lighter blankets. If you want to use duvets, switch to some fun prints. Opt for different duvet covers which are easy to update according to season. 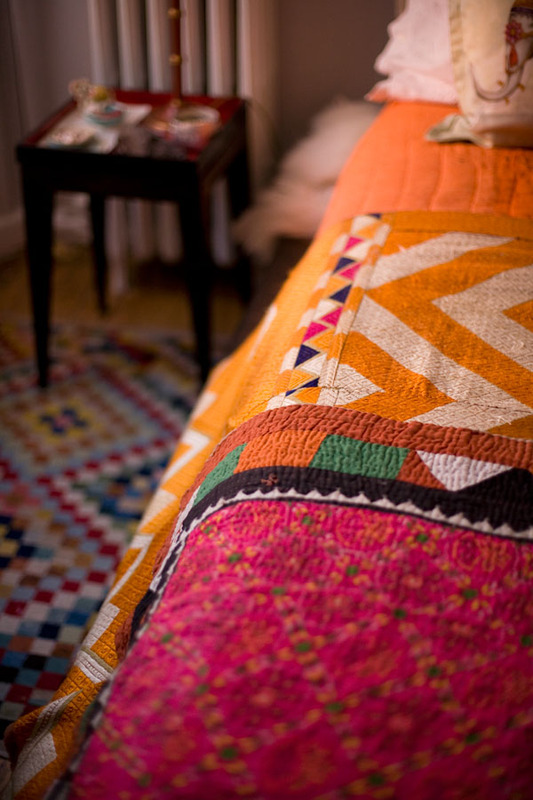 Stock up some of the lighter version of quilts for the warmth of a duvet but the feel of a blanket. Get your outdoors in and enjoy some green therapy. Add plants at various heights for a visual effect. There are many plant options available for low light too, in case you don't get ample sunshine :). Change your candles to fresh breezy scents. The containers can add a bright pop of color and the scent will leave the room refreshed. Choose from floral to citrus fragrances for this time of the year. I love stocking up some seasonal scents too during the sale season. Would love to hear how you welcome the spring!